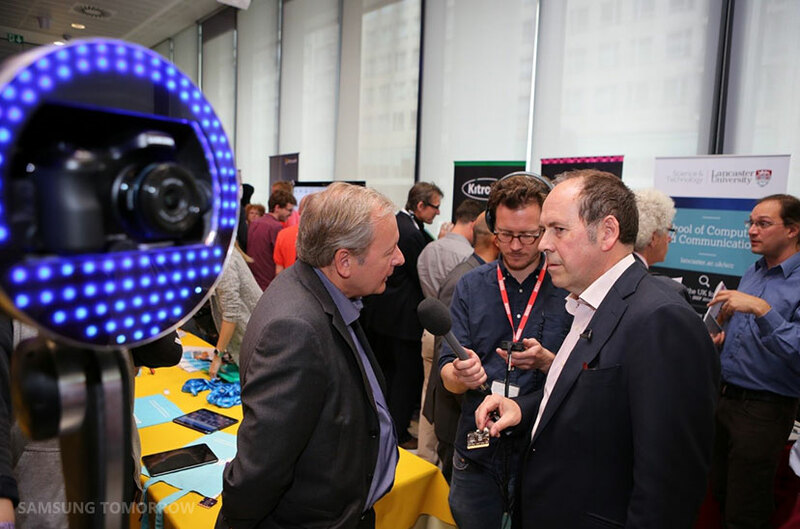 The BBC unveiled on Tuesday its revolutionary new micro:bit, a small, programmable hardware device that will help young students learn to code, and in the process transform a new generation of passive consumers of technology to creators and innovators in the digital world. A million of these free pocket-sized, code-able computers will be distributed for free. Samsung Electronics is a key partner in the development of the micro:bit, which is aimed to be a springboard for young children to further learning products. The product is the result of a three-year research and development collaboration between the BBC, Samsung and more than 20 other partners. 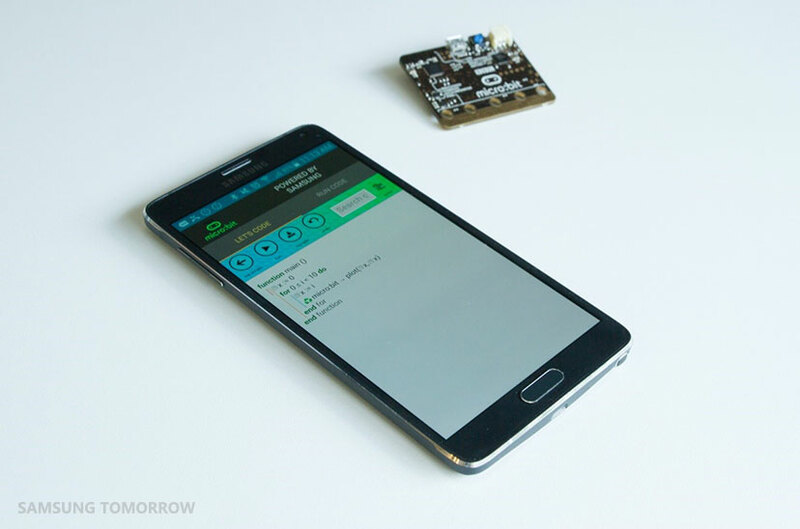 Samsung’s major role was developing the functionality of the micro:bit to be able to connect to mobile devices like smartphones and tablets. The unveiling of this extremely ambitious and unique educational campaign took place at BBC Broadcasting House in London. This collaboration between the national broadcaster and private companies is the first of its kind, a signal of how special this endeavor is. It provides a great example of the public and private sectors coming together to make a significant contribution to education. The devices will be distributed to Year 7 students all over the United Kingdom starting in September, in packaging with the Samsung logo. 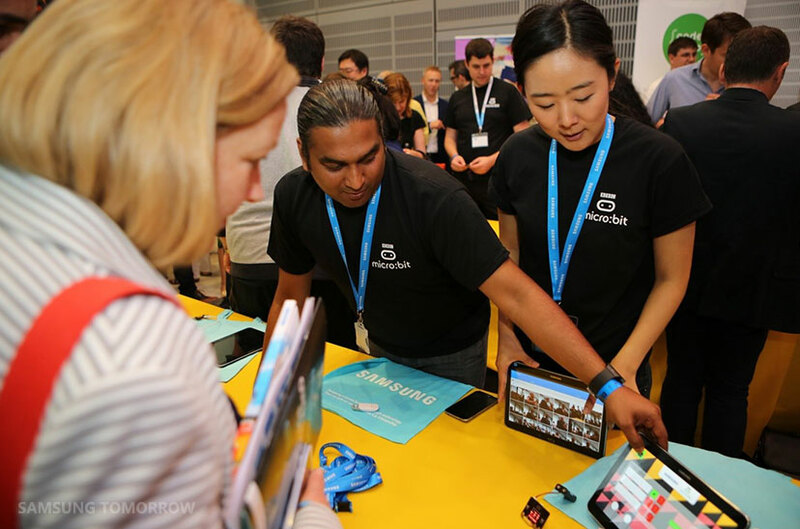 Samsung engineers who worked on the development of the micro:bit were on hand to provide a demonstration during the event. Andy Griffiths, President of Samsung Electronics UK & Ireland, was in attendance and explained the significance of the product. 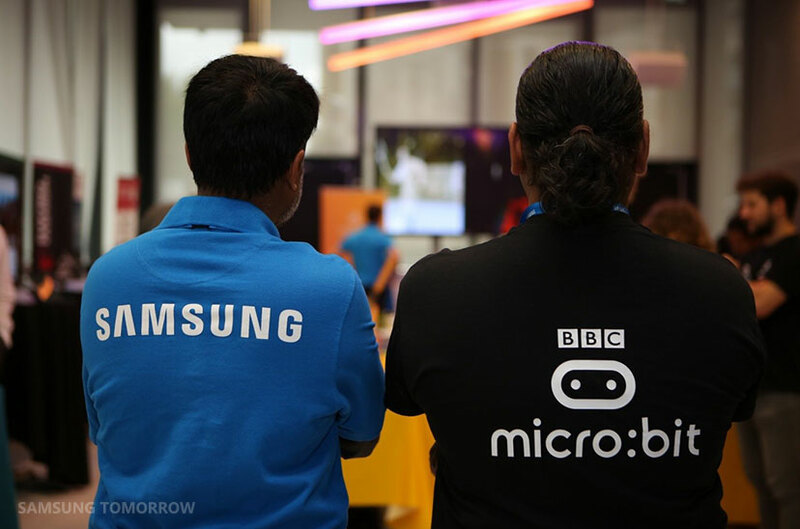 “At Samsung, we’re very excited to bring the micro:bit to life with the BBC. 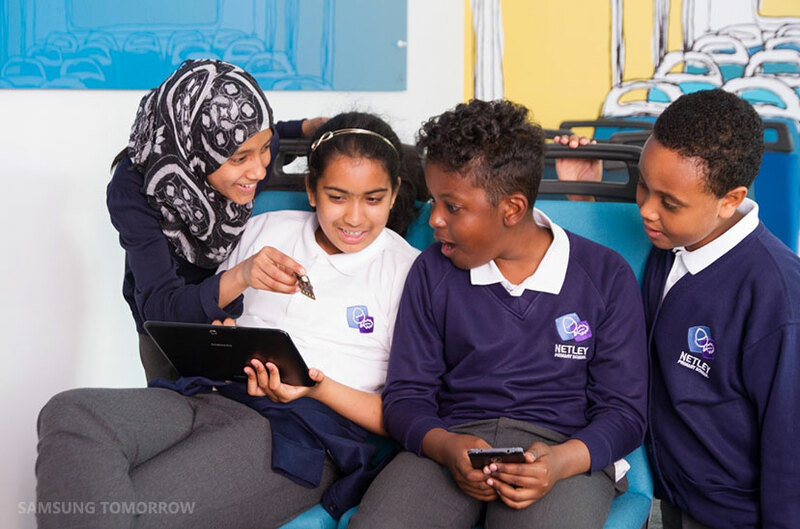 Our engineers are enabling the micro:bit to communicate with everyday digital devices such as phones and tablets to allow young people to code inside and outside of the classroom. It’s a great way to showcase the capabilities of this technology and we’re looking forward to seeing how creative people can get with coding, whether that’s programming their micro:bit to take a ‘selfie’ via their phone camera or coding it to flash when they get an incoming call, the possibilities are limitless,” said Griffiths. Samsung is building an app to support coding-on-the-go, which will allow children to create fun projects in the classroom, on the bus, at home or anywhere else. The app will be launched on Google Play this fall. Samsung also plans to help introduce the Internet of Things and the future of connected technologies to the classroom by supporting teacher resources and student projects.